Special chamber design has greatly decreased dust levels and improved detection accuracy. Dual LEDs for 360-degree visibility. 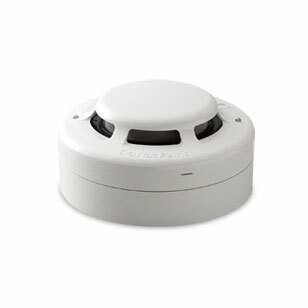 Advanced technology enables this detector to increase its precision in fire detection, improve signals to avoid noise interference and thus reduce unwanted false alarm. Low current consumption that allows more detectors to be used with each control panel. Dual contacts on the base which enhance the connecting stability between sensor and base. All bases are fitted with a shorting spring to permit maintenance without disconnecting when removing the detector head. This unit has designed for relay output feature with optional individual power source and it has been used widely in the current market. This resettable detector is not only use as a fire alarm system but will also supervise input power via an optional relay output for power breakdown or wire break. 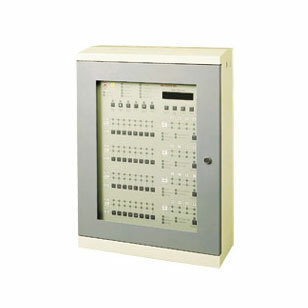 Fault relay contact will open when power breakdown occur and fire alarm signal will transmitted to connected system or computer terminal when detector is activated. When the alarm signal is absent the detector will automatically return to standby status. 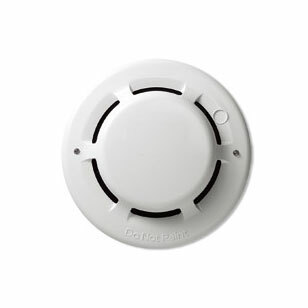 Optional built-in buzzer can sound a warning at the first sign of fire. This detector is currently used quite often in security systems and is also promoted for use in communications, banking, shipping or the art business.